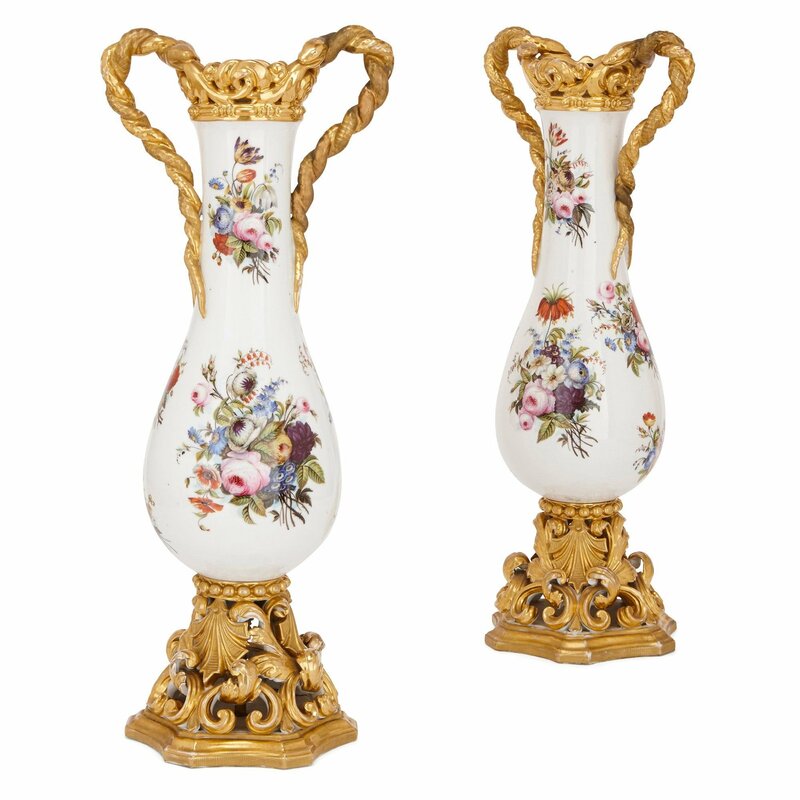 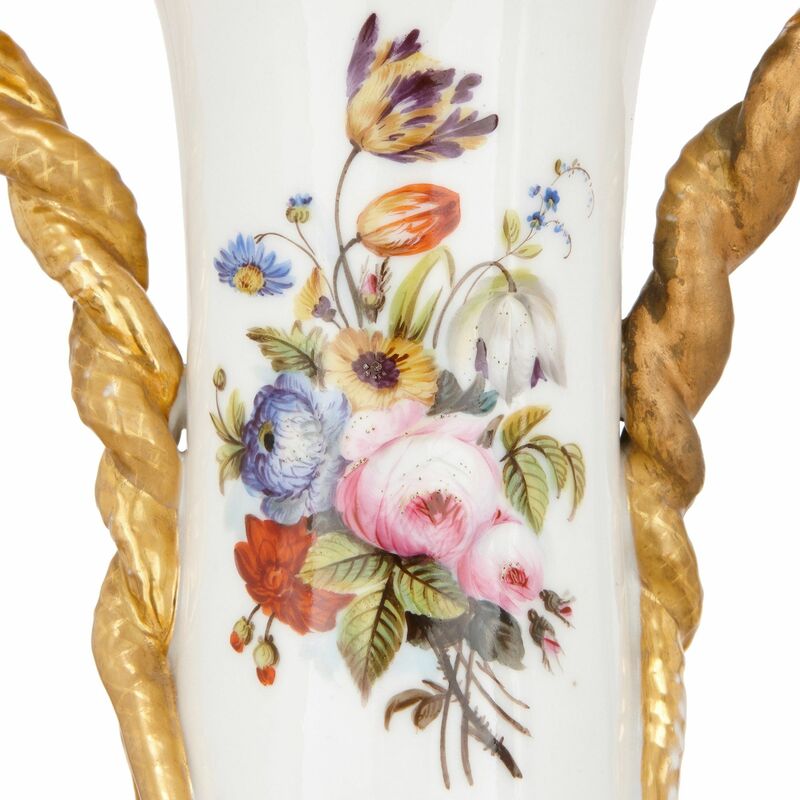 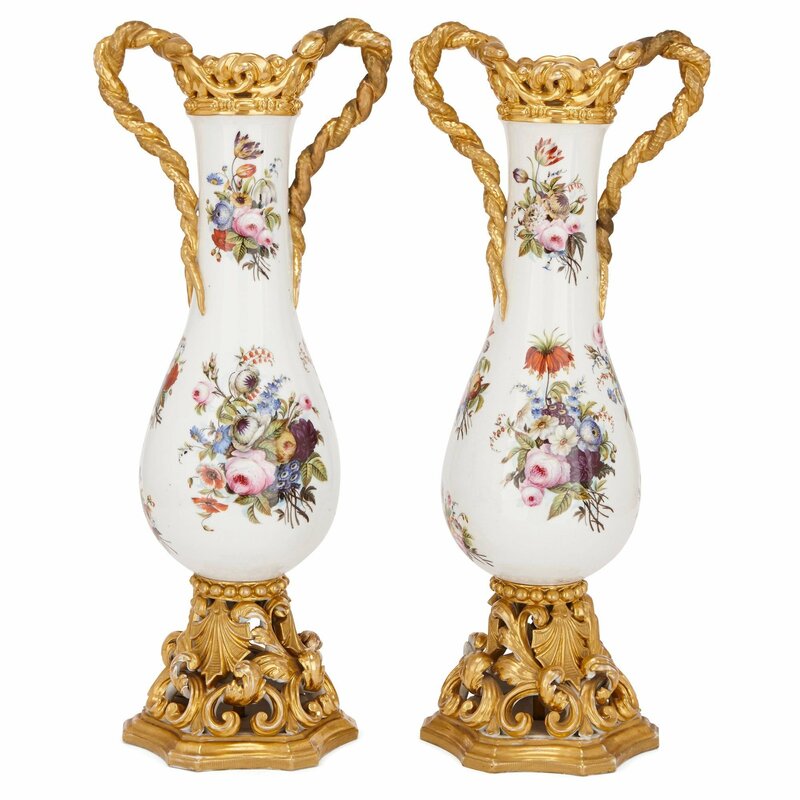 The work of renowned 19th Century French porcelain maker Jacob Petit is the inspiration for this exquisite pair of large floral porcelain vases. 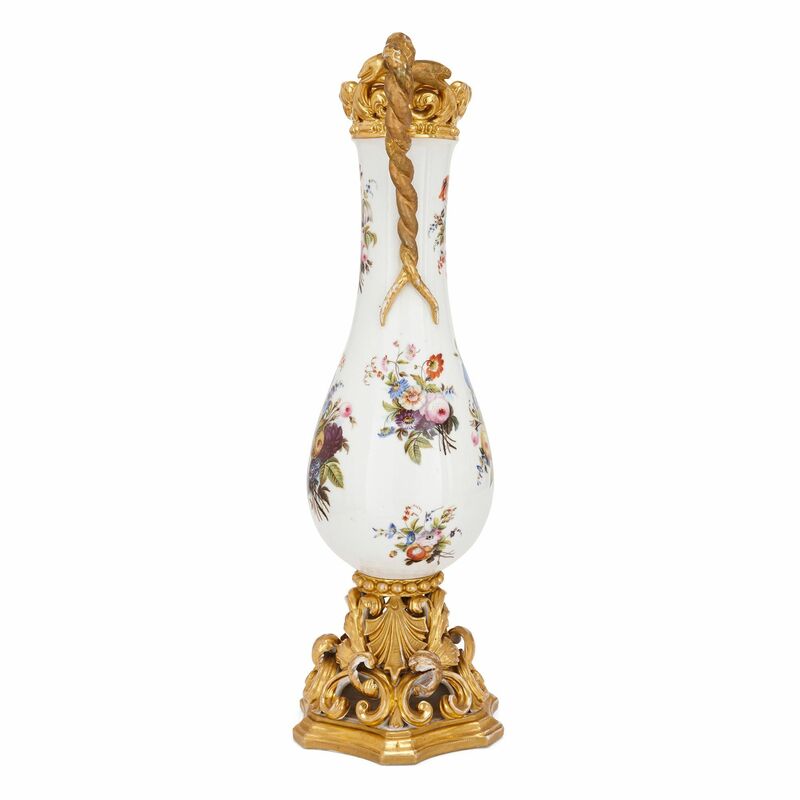 Each vase is of ovoid form, with a long, slender neck. 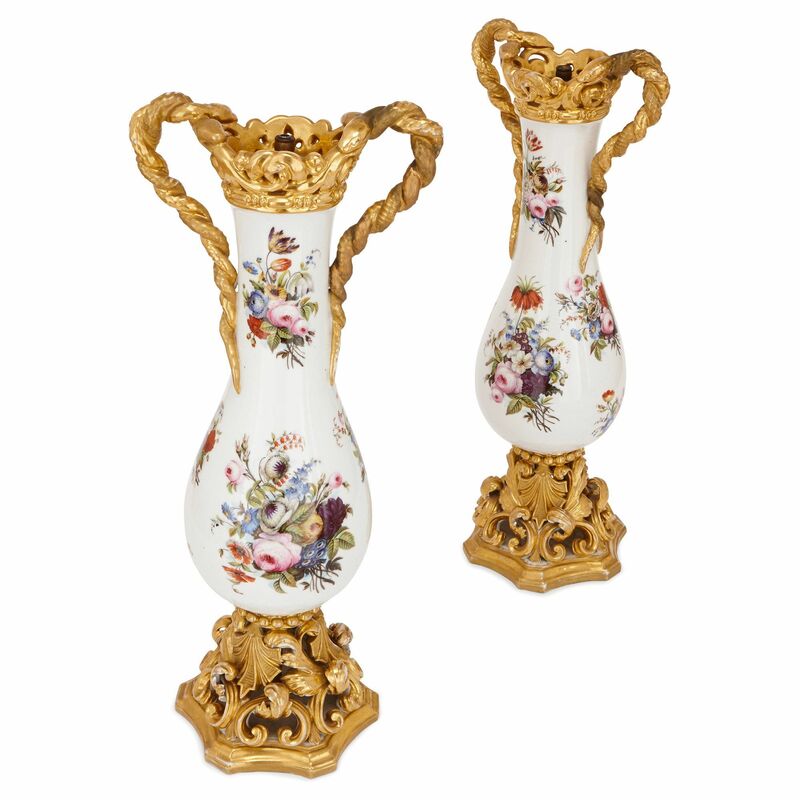 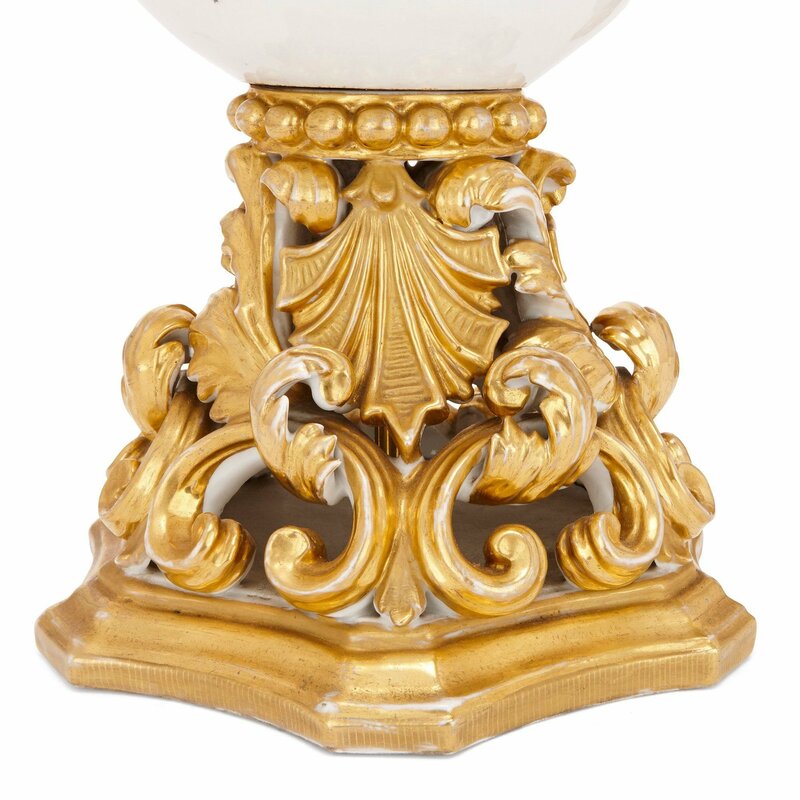 The porcelain bodies and necks of the vases feature a number of depictions of floral bouquets on white ground, and are set on hexagonal gilt ground porcelain bases showing floral and acanthus leaf scrolls with a band of beaded porcelain above. 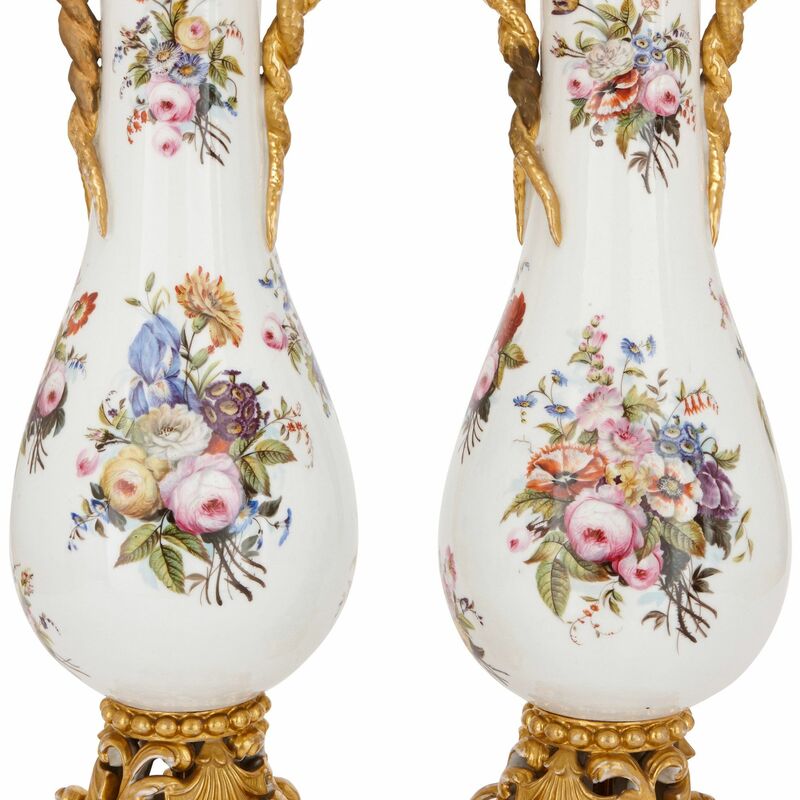 The sides of each vase feature twin gilt handles which take the form of intertwining snakes, with further gilt scrolling decorations around the vases' rims.